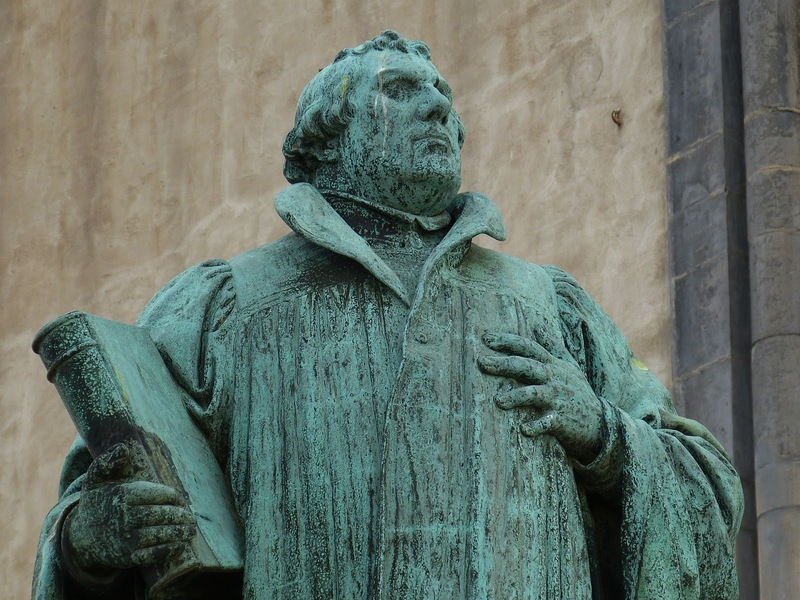 On the last Sunday of October, many Lutherans step off the track of the Revised Common Lectionary to celebrate Reformation Day. Churches celebrate with brass ensemble, procession, lots of the color red, candles, streamers – it is a mighty celebration for someone like me who enjoys such a thing now and then. But the question of “why” looms large. - Some folks will say that we celebrate Luther’s contributions to the Church and theology 500 years ago. - Other folks will say that it is a reminder that we should be “on watch” for places in the Church and society are in need of reformation now. The reformation is never over. - Other folks internalize that idea and say that each and every person is in a state of reformation in relationship to faith. And really, all of that is true. But all of that seems a bit self-congratulatory….like we Lutherans have the inside track to God that Luther discovered 500 years ago; ironic because the whole point of what Luther “discovered” is that there is nothing anyone can do to get an inside track to God. God has come down the track to us as a gift - which BTW, is called grace. Read the Gospel. Jesus shares the news that in him is truth that leads to freedom. The disciples, who are, may I point out, descendants of the Hebrews who were freed from slavery in Egypt, say “Nope, nope. We’ve never been slaves. We don’t need freedom”. Then Jesus says “Everyone who commits sin is a slave to sin.” Oh….that kind of slavery. If I were God, I would have written me off long ago. In Romans 3:23-24, Paul says that in spite of our sinfulness, God did not write us off. God redeemed us through Jesus. So the truth is that we are sinners all. And the truth is that we are no longer slaves to sin; we have been set free. So pull out the brass ensemble, procession, candles, and streamers. The truth will set us free. What “truth” gives you freedom? Check out the G.I.F.T. post for this Sunday, October 18, for more ways to reflect on these verses.